Conveniently located in the Pearl District near all forms of public transportation. Metal clay can be worked wet and dry then fires to be 99.9% pure silver! Learn all about metal clay and keep your skills growing with innovative new classes with Master Cindy Pankopf and guest instructors. Oscar keeping an ever-watchful eye on things from his new favorite spot in the gallery window. Generous working space allows for maximum creativity in any medium! Classroom space, tools and equipment provided for creating, firing, cleaning and finishing your jewelry. Making beautiful things (and a big mess) while having fun. Creative Place has relocated to the Pearl District in Portland! I’ve got a terrific new place in the heart of Portland, walking distance to anything. In addition to metal clay workshops, I’ll be expanding class selections soon to include drawing and painting as well. It is even easier to learn from Cindy. Check out all the new offerings here. Stay tuned for even more. This exciting new concept is just beginning! 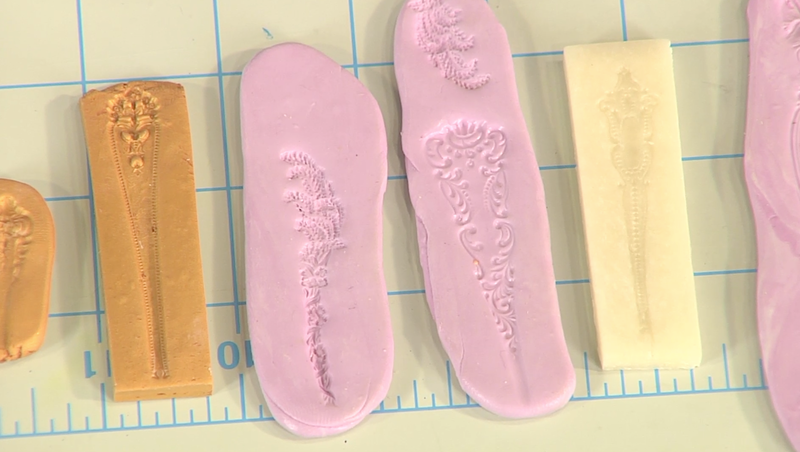 Author Cindy Pankopf shares her technique for using antique salt spoons and other found objects to create beautiful molds. 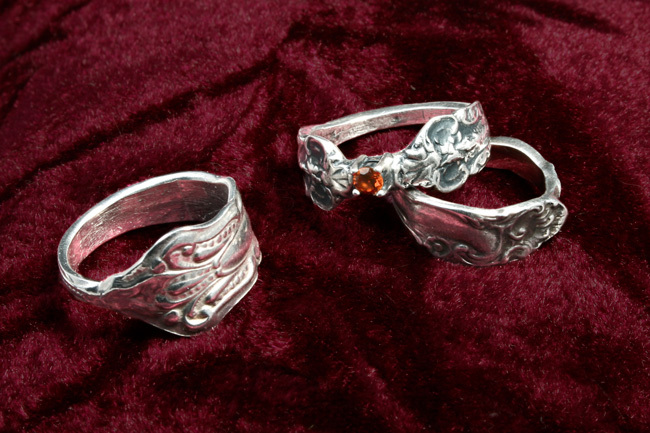 Learn how to use silver metal clay to create unique Vintage Spoon Rings using those same molds. Katie creates a bracelet from knotted wire and beads in her Beading Lesson. Check it out on your local Public Television station.